As part of my winter favorites, today I am reviewing a body wash from the brand Biotique. 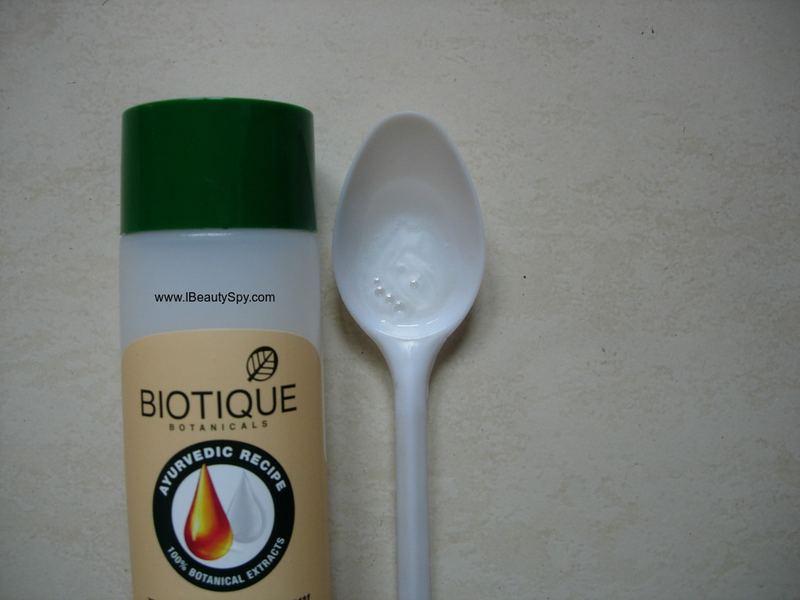 I have already posted my winter skin routine with Biotique. 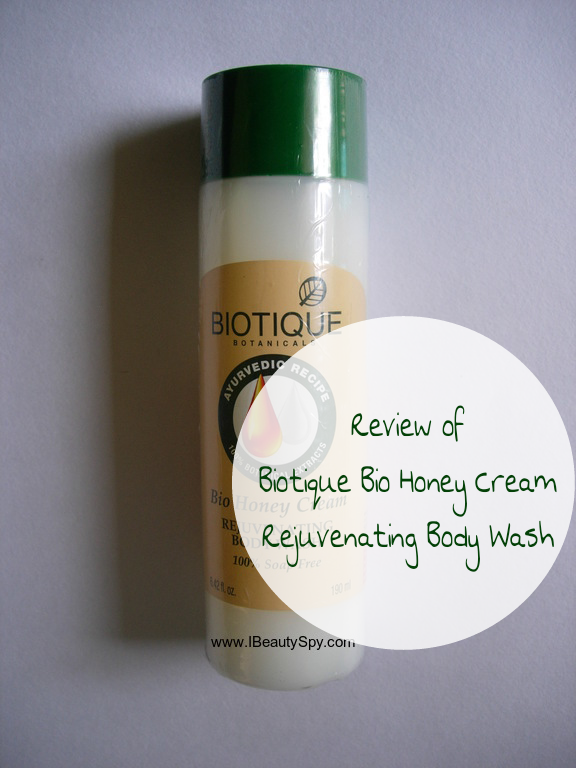 In this post, I will do a detailed review of Biotique Bio Honey Cream Rejuvenating Body Wash. Winters call for cream based body washes, so its good to replace your shower gels with shower creams. And this variant from Biotique is enriched with the goodness of honey as well to nourish and rejuvenate your skin. Let’s prepare the score card of Biotique Bio Honey Cream Rejuvenating Body Wash based on my experience. This fresh-foaming, 100% soap-free gel is a blend of pure honey, winter cherry, galangal, coconut oil and soap nut, to cleanse and help brighten skin for a fresher, fairer, body finish. Lathers into rich suds that rinse off completely, without disturbing the skin’s natural pH balance. 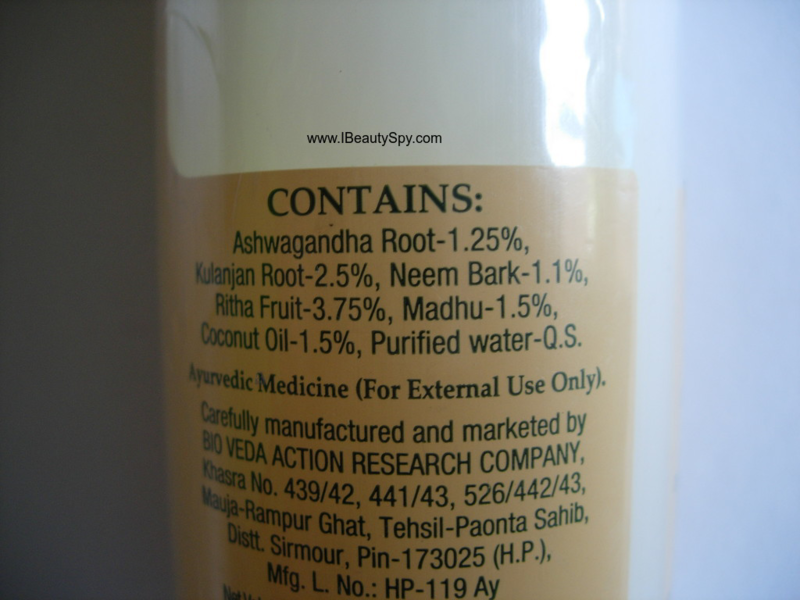 Ashwagandha root – 1.25%, Kulanjan root – 2.5%, Neem bark – 1.1%, Ritha Fruit – 3.75%, Madhu – 1.5%, Coconut Oil – 1.5%, Himalyan water Q.S.. The body wash comes in a sturdy translucent plastic bottle with a green screw-on lid. I wish they had a pump packaging or atleast a flip-open cap for ease of use. The body wash is pearl white in color with a medium creamy consistency, neither too thick nor too thin. It has a mild ayurvedic smell which is pleasant and soothing to the senses. The body wash lathers well inspite of it being soap-free. Though don’t expect similar foam as you get in soap-based body washes. It cleanses the skin well without drying it or disturbing the skin’s natural pH balance. Which is the biggest problem everyone faces in winters. Forget your worries! This body wash contains a blend of pure honey, winter cherry and coconut oil which nourish your skin deeply so that you don’t face any dry or itchy skin. With regular use, my skin feels fresh, smooth and soft. Since it dosn’t cause dryness, my skin also looks brighter. Dull and dark skin can be the signs of dehydration and not proper moisturization and nourishment. When your skin is properly moisturized, nourished and has the perfect pH balance, it automatically looks brighter and fairer. But don’t expect this body wash to change your skin tone and make fairer. I haven’t noticed any such results. And no body wash can do that. Just follow a proper skin care regime to get a radiant and glowing skin. You can follow this body wash with Biotique Bio Winter Cherry Rejuvenating Body Nourisher and the results will be excellent. * Cleanses skin well without drying it out. * Cream based body wash vey suitable for winters. * Doesn’t disturb the pH balance of skin. * Skin feels fresh, smooth and soft. * Skin also appears nourished and brighter. * Organically pure and preservative free. Fairer skin. No body wash can change your skin tone miraculously. Yes, definitely to everyone for this winter season. One of the most affordable and soap-free body washes available in the market. 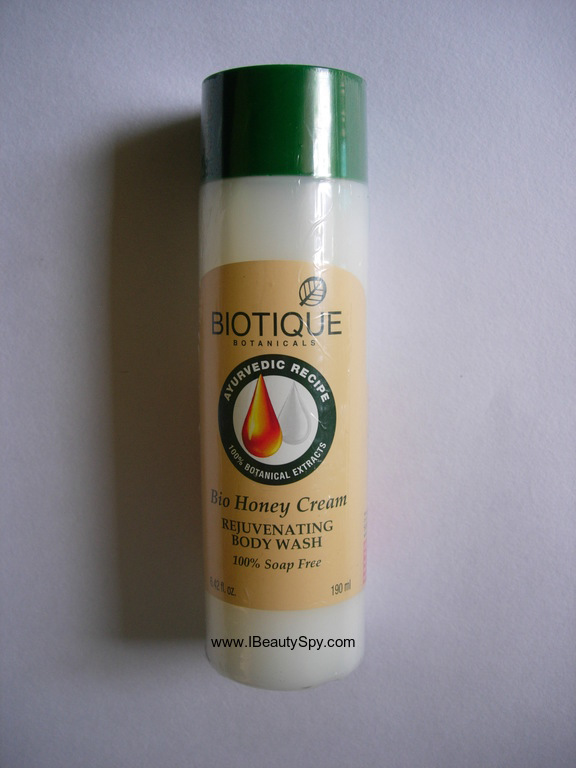 Biotique Bio Honey Cream Rejuvenating Body Wash has become one of my winter favorites. Its very affordable, so even college-going girls can give it a try. Stay tuned for the next review of the body lotion from Biotique. Have you tried any Biotique products? Which is your favorite? Lovely review and no doubt that an product can change skin tone miraculously.. Sounds nourishing and great for use in winters. Wow 😍 what a product and what a review! lovely review..thinking about going for this when my current body wash gets over..I have normal skin can I use it in summer? I haven’t tried this product. Sound looks good. Nicely reviewed. Sounds like a good product. Love Biotique products!